As a continuation of our books At the Gate of Cosmic Transfiguration I and II and the spiritual teachings of the powerful book presenting the wonderful worlds of the galactic myths, titled Stellar Nations – Soul Families, our new book has been released, in a special gift box including 4 supplementary meditation CDs. The galactic myths continue to reveal the secrets of Creation. In the meantime, an invaluable teaching of the Delegation of the Stellar Nations and especially of the Christ Soul comes to life, through which we can understand the original and primordial cause, motivation and the root of all our problems. Through the very precisely defined steps of the so-called Redemption Cycles, and with the help of the four supplementary meditation CDs, one can realize the deepest possible healing on all levels of their existence. The sacred keys of the mystery of Redemption come to life within, so that by ascending the Bridge of Redemption, life can be changed in an essential way. These are Christ’s Light-Keys to life, which can dissolve the solitude of the illusion of separateness and lift us back into the experience of the Creator’s infinite love, where we can dream and create a new life for ourselves. The quiet glory of the Heavenly Blessing can return to and become part of the human world of our everyday lives. This is followed by the secret of the new time loop, the Divine Plan of the New Time Cycle. This was connected to Planet Earth by the special event of the Global Correction of Fate, which took place on 29 December 2007 and which outlines the spiritual programs of the coming years. Then Solana (our Sun) continues to tell us more about his history as the Sun Gate. As a brother to the Pleiadian stellar sisters, Solana rebelled from his Pleiadian fate, leaving his familial star system, while in his impetuous adolescent years and has been on a trajectory to correct his fate and work his way back ever since. Solana’s story has been extracted and is told in our book titled “Stellar Nations – Soul Families”, so the wonderful history of our Sun is available here in English. Next related to the Creation Myth of our Solar System we learn the exact meanings and interpretation of the asteroids, which are included in the Antares-Code© as well. We wish with all our heart for each reader’s soul to be touched by the purest light of Grace so that they all experience the catharsis that emerges in human hearts upon returning Home. And we wish for our readers the uplifting magic of daring to be happy, to love and to be loved again! You can look inside the book by clicking on the image below. 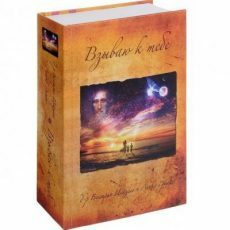 The authors plan to translate and release more of their books in English in the next years, so hopefully their spiritual materials that are available on the international level will be continuously expanded.